"You know a Year is a really long time,” that’s what our friend Jason Zabokrtsky told us as we were preparing to paddle in to the Wilderness for a year on September 23rd, 2015. A year is a long time, but we were in the Wilderness for the purpose of protecting it from Twin Metals and other proposed sulfide-ore copper mines within the watershed of the Boundary Waters Canoe Area Wilderness. We were kept busy from dawn to dusk paddling, portaging, gathering firewood, hauling water, and bearing witness to the Wilderness. Slowly the seasons changed, the loons migrated south to the Gulf of Mexico and returned in the spring as the ice retreated. Before we knew it the earth had made one full rotation around the sun and it was time for us to paddle out of the Wilderness after 366 days. Now it’s September 23rd, 2017 and all of the seasonal changes that we experienced during a Year in the Wilderness have repeated their timeless cycle once more and another year has passed. 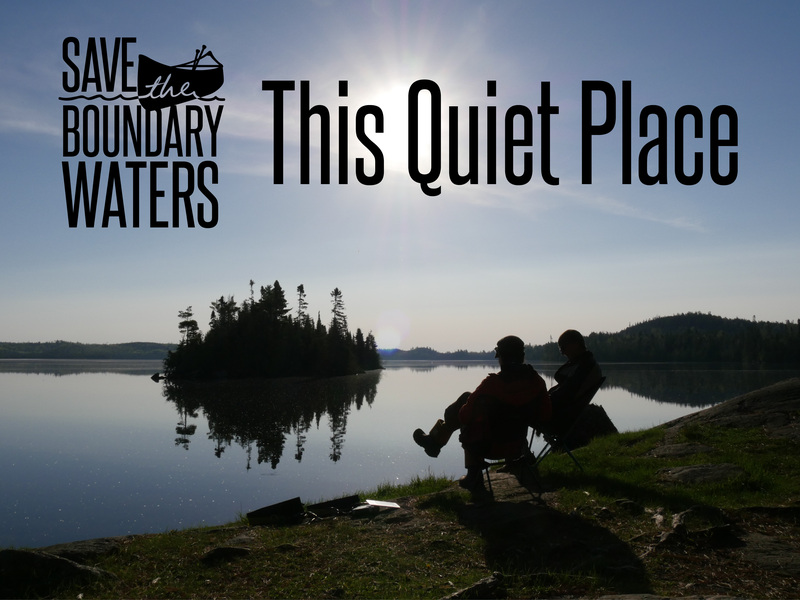 Amy and I have spent most of the past year outside of the Wilderness, but the Boundary Waters remains in our hearts and we are continuing to speak loudly for this quiet place. 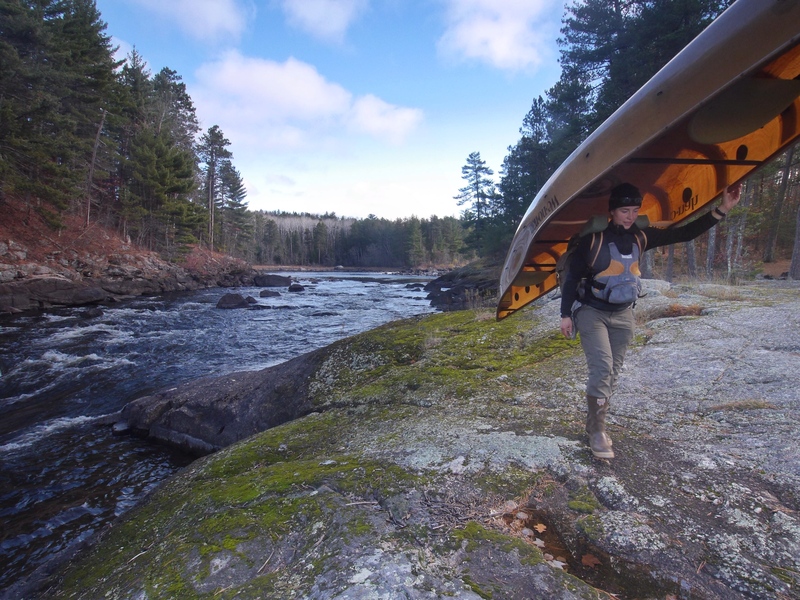 Shortly before we exited the Wilderness on September 23rd, 2016 Daniel Slager the CEO of Milkweed Editions paddled into the Boundary Waters to discuss publishing a book about our Year in the Wilderness. Milkweed has published several of our favorite books including Ordinary Wolves by Seth Kantner and Being Caribou by Karsten Heuer and we were thrilled to leverage Milkweed’s talents to create a book with them about our journey and Wilderness that we all love so much. 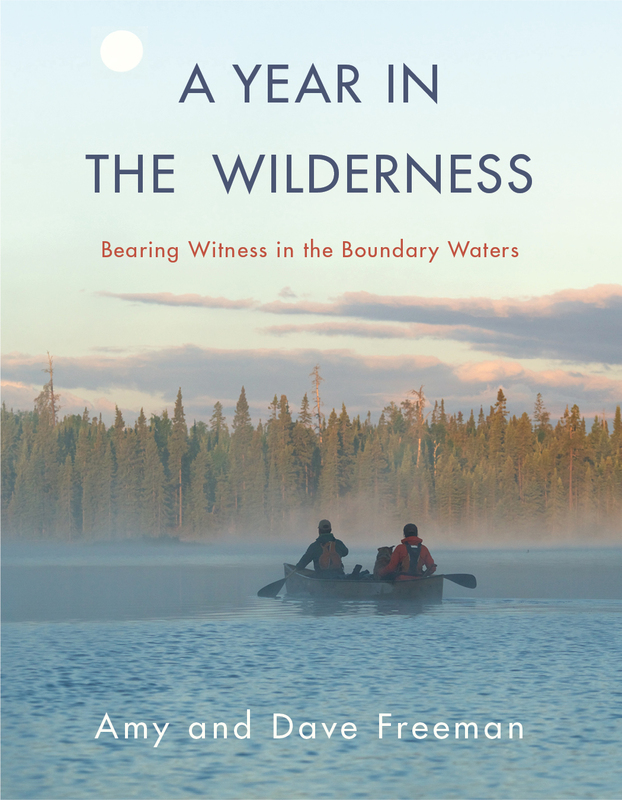 On the one-year anniversary of our exit from the Wilderness we are thrilled to release A Year in the Wilderness: Bearing Witness in the Boundary Waters. We hope you can join us on September 25th from 6 to 8 PM at Able Brewing Company in Minneapolis for a book release party and silent auction in support of the Campaign to Save the Boundary Waters. Tickets are $15 and they are going fast so please purchase your ticket right away. For Amy and me the coming months will be filled with book signings and speaking engagements that will take us from New York to Nebraska and many places in between. We are excited to use our new book as a tool to elevate and protect the Boundary Waters and we hope that you can use it as a tool to share the Boundary Waters with others as well. Please encourage your local library and local bookstores to order the book, consider buying a copy for yourself, and sharing it with friends. Please consider writing a review on Amazon and use it as a conversation starter and a call to action. The Boundary Waters needs our help more than ever so please join us in continuing to speak loudly for this quite place. My husband Dave and I skijored to the deepest spot on Wood Lake. Sled dogs Tina and Acorn pulled Dave. I followed with Tank enthusiastically trotting along. The air temperature was 10 degrees below zero—it was cold and the wind out of the northwest made it even colder. We paused near an island to detach ourselves from the dogs and walked the rest of the way to the deep spot. GPS in hand, Dave confirmed our position and kicked snow off the surface of the ice with his ski boot. He assembled our hand-powered ice drill and I pulled out the Hach Meter and clipboard. This was our 61st lake for measurements. The data we collected included dissolved oxygen and water temperatures for every meter—from the surface to the bottom or the end of the 15-meter probe, whichever came first. 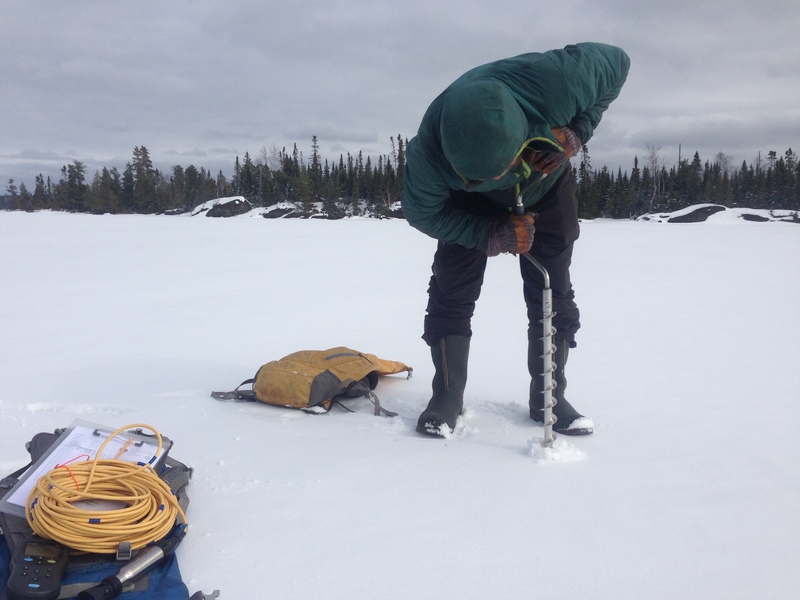 We also measured conductivity at the surface and when lakes were not ice-covered, turbidity with a secchi disk. As Dave completed the final cranks of the hand-powered ice drill and pulled it from the hole, I pulled the batteries for the Hach Meter from my warm pocket. If I had left them in the Hach Meter even for our 20-minute ski, they wouldn’t have functioned in the cold. I breathed a sigh of relief as the Hach Meter powered on and I lowered the probe into the hole. Dave did jumping jacks as I wrote down measurements—happy to have mastered the art of wielding the pencil with my mitten on. The dogs watched with curiosity from their spot, nestled in the spruces. Despite the fact that the lake was only 5 meters deep, this was our most challenging spot to measure. I longed for the ice-free season when I simply lowered the probe over the gunwale of the canoe. Why were we bothering to collect this data? In addition to keeping the beloved Boundary Waters on peoples' minds for an entire year, we also collected water quality data for the Minnesota Pollution Control Agency (MPCA), adding measurements from 100 bodies of water to its database. We also collected water samples for Adventure Scientists’ Global Microplastics Initiative. 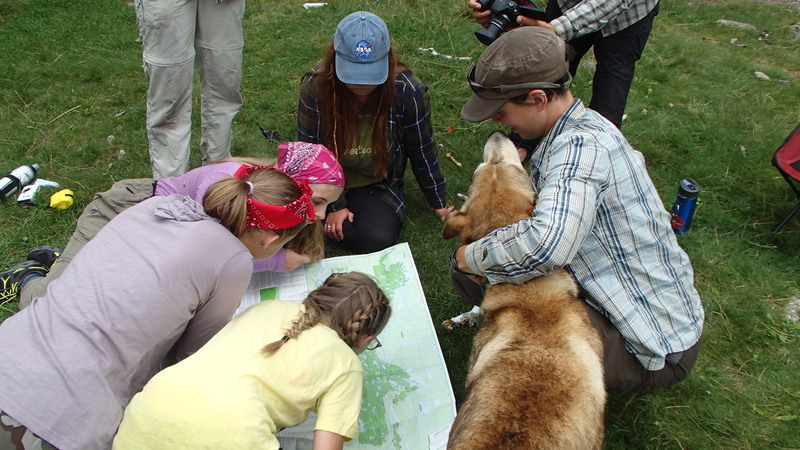 It will be a while until the data is publicly available on the MPCA and Adventure Scientists websites, but I can share with you a few things we learned during the process. It was expected that most Boundary Waters lakes would have dissolved oxygen greater than 5 mg/L (milligrams per liter) at the surface; we frequently saw dissolved oxygen higher than 7 mg/L—and it was not uncommon for us to find 10 mg/L or higher. In deep lakes, it is normal for dissolved oxygen to drop to near 0 mg/L mid-summer, about 10-20 feet down at the thermocline. Lake trout are cold-water fish and can be found in many of the deep, clear lakes in the Boundary Waters. These fish need dissolved oxygen concentrations greater than about 7 mg/L from the surface all the way to near the bottom to survive and we were happy to confirm that was the case in many of the deep, clear lakes that we measured. I’ll give Basswood Lake a little more scrutiny, since it has a thriving fishery and is known for excellent fishing opportunities for lake trout, walleye and smallmouth bass—and it happens to be downstream from the proposed Twin Metals mine site. We took our measurements at the deepest part of Basswood, which is 111 feet deep and maxed out our probe. The dissolved oxygen at the surface was 10.29 mg/L, and halfway down (14 meters) it was still a healthy 9.3 mg/L. No wonder Basswood is a world-class fishing destination! What about the samples for the Global Microplastics Initiative? They are being analyzed now and soon we will find out how many pieces of microplastics were found in each liter of water that we gathered. Microplastics are plastic particles smaller than 5 millimeters in size. They pose a significant environmental and human health risk when they enter our waterways. The Adventure Scientists have found microplastics in the vast majority of samples they have compiled over the last few years. It will be exciting to see the results from the samples we gathered. Just in the past year, more and more reports are coming out about lakes being un-swimmable or unfishable due to pollution in the southern part of Minnesota. The walleye fishery in Lake Mille Lacs is in decline. Yet we happily drank out of, swam in and handily fished in the wilderness lakes of the Boundary Waters during our year out there. We are fortunate that wilderness advocates have kept the Boundary Waters forests untrammeled and the water unpolluted up until now, but it will take foresight and diligence to keep them that way. Take action today to protect the clean water of the Boundary Waters for future generations. 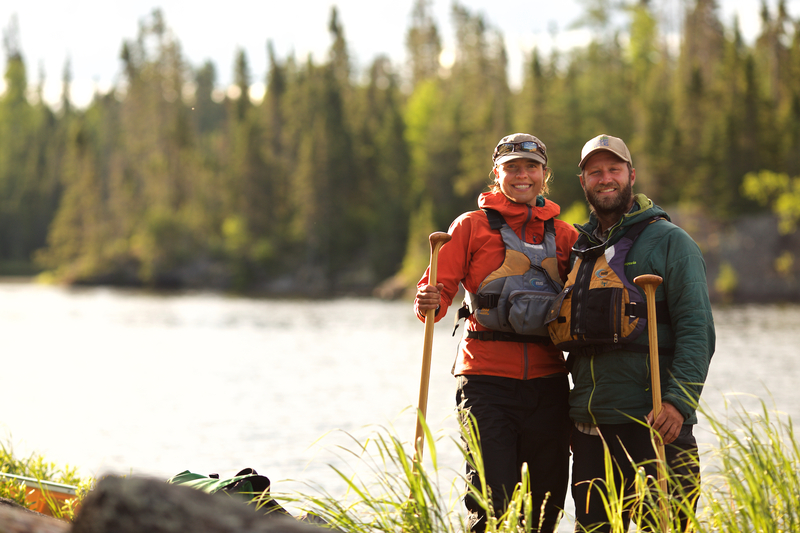 Dave and Amy Freeman, 2014 National Geographic Adventurers of the Year, are dedicated to protecting the Boundary Waters from sulfide-ore copper mining proposed on its wilderness edge. In 2014, they paddled and sailed 101 days and 2,000 miles from Ely, MN, to Washington, DC, on the Paddle to DC. From September 23, 2015 to September 23, 2016, the Freemans spent A Year in the Wilderness, camping at approximately 120 different sites, exploring 500 lakes, rivers and streams, and traveling more than 2,000 miles by canoe, foot, ski, snowshoe and dog team. They documented their year and will continue to share their stories on social media (@FreemanExplore, #WildernessYear) and in blog posts. A documentary about their journey, Bear Witness, premiered fall 2016. A book about their year will be published by Milkweed Editions in fall 2017. 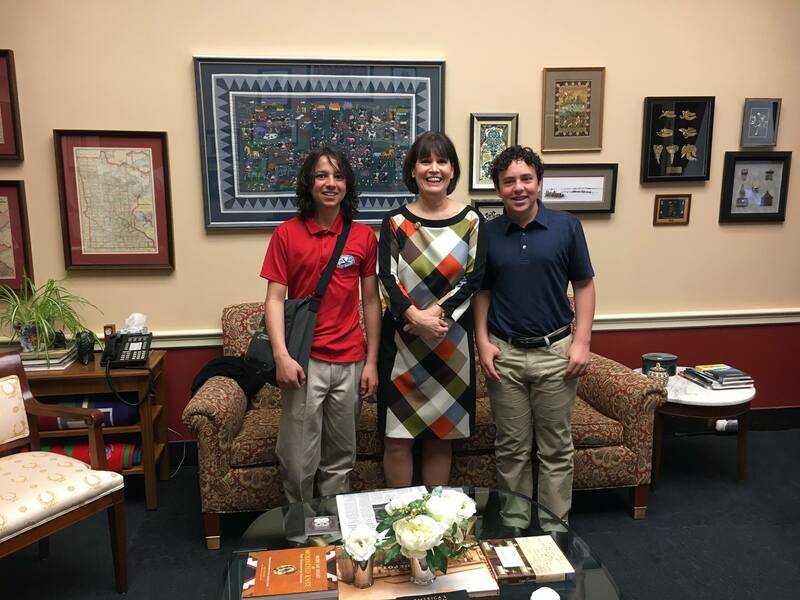 15-year-old Joseph Goldstein recently returned from spending a few days in Washington, D.C. meeting with legislators [Right: with Representative Betty McCollum] and land management agency leaders to urge support for permanently protecting the Boundary Waters Wilderness. Joseph’s passion and dedication for protecting the Boundary Waters Canoe Area Wilderness has continued to grow since we first shared his story in March 2015. 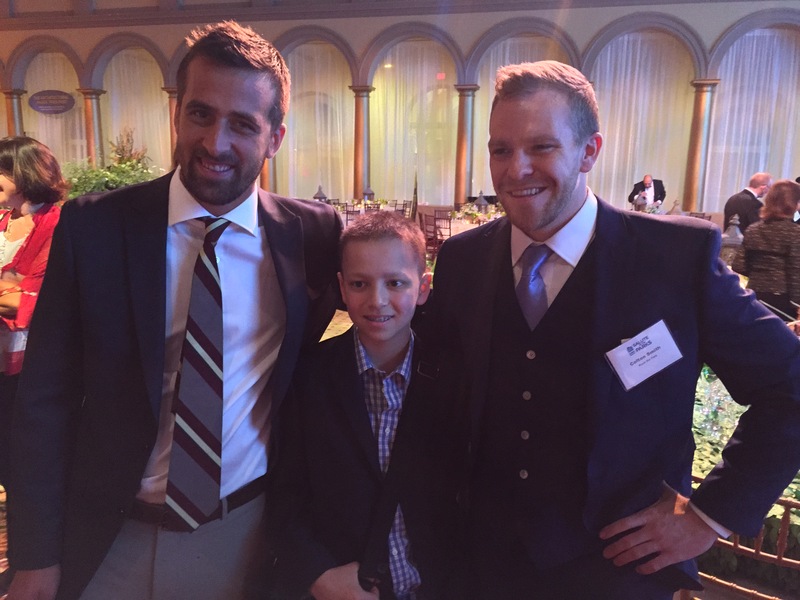 A little over two years ago, Joseph Goldstein was diagnosed with High Risk Acute Lymphoblastic Leukemia (ALL), a cancer of the blood and bone marrow. Since then he has made it his mission to help protect the Boundary Waters. 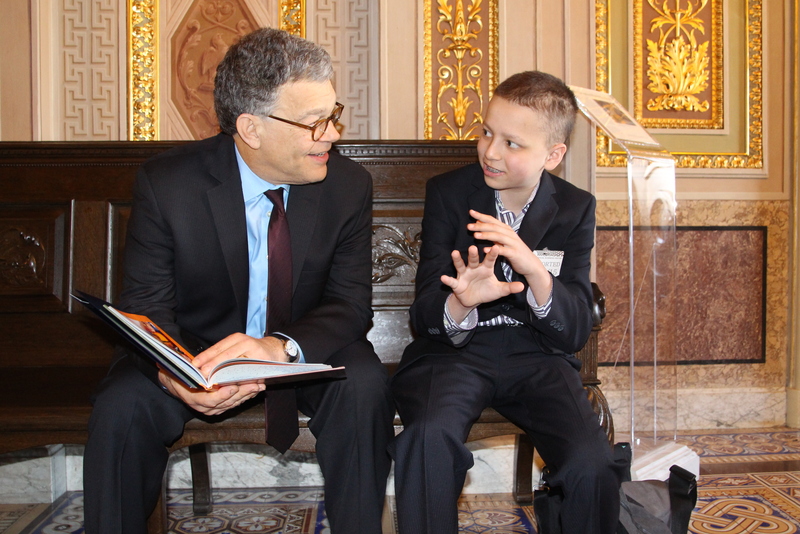 Joseph first visited DC and met with elected officials in March 2015 during a break in his chemotherapy. During that visit, Joseph met Jack Steward and Colton Smith, educators and hosts of the show Rock the Park, an educational program about America’s National Parks (see a preview of their Voyageurs National Park episode). Following that visit, Joseph developed a friendship with “Those Park Guys” and they even joined him on a winter resupply mission to visit and help Dave and Amy Freeman during their Year in the Wilderness. 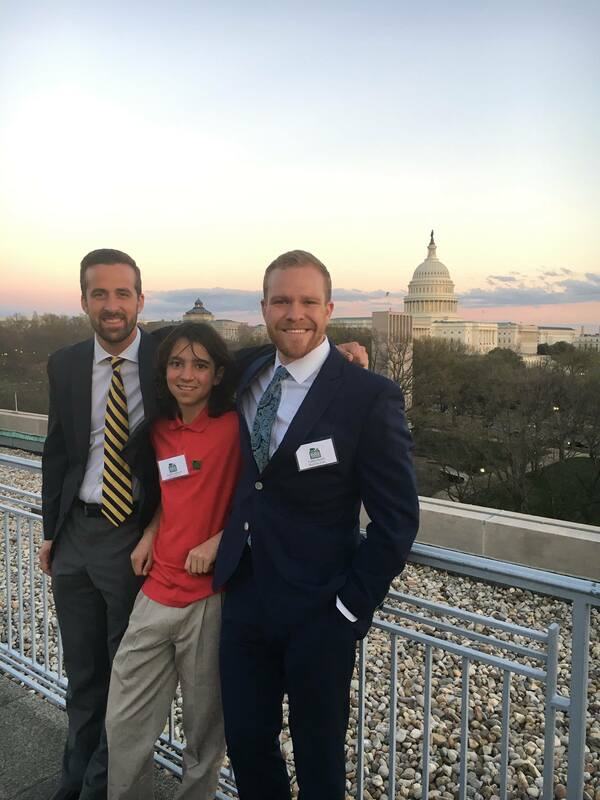 This past week while in the nation’s capitol, Joseph had the opportunity to give a speech at the National Parks Conservation Association (NPCA) annual Salute to the Parks gala, which honored Jack and Colton with the Robin W. Winks Award for enhancing public understanding of the National Park System. Joseph’s speech is below. I first met Jack and Colton at this same event, two years ago when I was 13, during the first season of their show. They were (and still are) heroes in my eyes – the coolest guys doing the very coolest job I could possibly imagine. I was a big fan, and meeting them was one of the highlights of my first visit to D.C.
We talk a lot in my family about drawing light out of the darkness; that although you don’t always have a choice in what happens TO you – and believe me, no one would choose hair loss and puking – you always, ALWAYS, have a choice in how you react to what happens. So, when the Make a Wish foundation approached me, it didn’t take long for me to realize that I had an opportunity to do something that would be bigger than me. Eleven years ago my parents took my second brother, and me to the Boundary Waters for the first time. For me, it was like coming home. I fell in love and, as I was recently reminded, I was sobbing when I was told it was time to leave. Since then, the Boundary Waters has become “my place;” that space in the world where I want to be whenever I can. My memories of the BWCA helped me get through that AWFUL first year of chemo. And every chance I’ve had -- through almost three years of treatment -- I’ve returned there for strength and healing. It is the most perfect place imaginable, and today it is under direct threat from a toxic copper mine that has been proposed directly on its border. My parents say it's the hubris of youth to believe that life is binary (obviously, they also like to use words I have to Google). But I think that the greatest thing about youth is that you GET to be as hubris-y as you want. 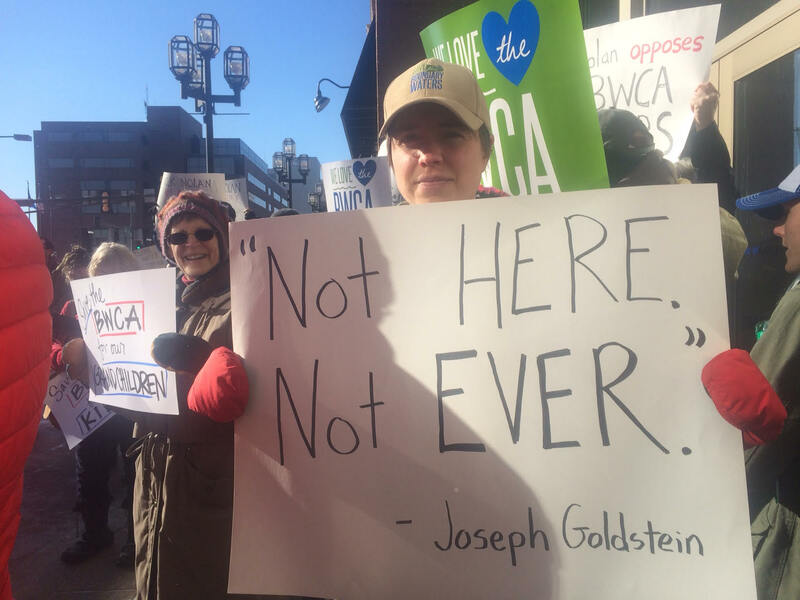 You get to say things like “either you're a defender or you’re a destroyer.” There is no room for gray on this issue: We are called to be guardians of sacred places, and now, more than EVER, we have to plant our feet, stand our ground, and defend. Sometimes life only gives you one chance. I think this is ours. This is our one chance to defend our beautiful national parks and wildernesses that give so much to so many of us. There are a multitude of reasons why people choose to pick up a paddle – or throw on a pack - and head into the wilderness. Sometimes we don’t even know beforehand exactly why we do. But universally we all come out changed, and changed for the better. So, that’s MY wish: To permanently protect the BWCA. The BWCA is “my place,” but I’m willing to bet that each and every one of you here tonight has “your place,” too. I bet you’ve felt it – that peace that can only be found in the utter stillness of a starlit night in the woods. Or the desert. Or at the top of a mountain you’ve spent the day summiting. We all have that place. When I met Jack and Colton two years ago, they were bigger than life -- stars to me. But over the last two years as I’ve watched and learned from them, and they joined me for a winter adventure into the BWCA by dogsled, I have come to understand that they are true Wilderness Warriors, and I am very proud to call them my friends. Congratulations, Jack and Colton! To quote Abbey again, “May your trails be crooked, winding, lonesome, (and) dangerous, leading to the most amazing view. 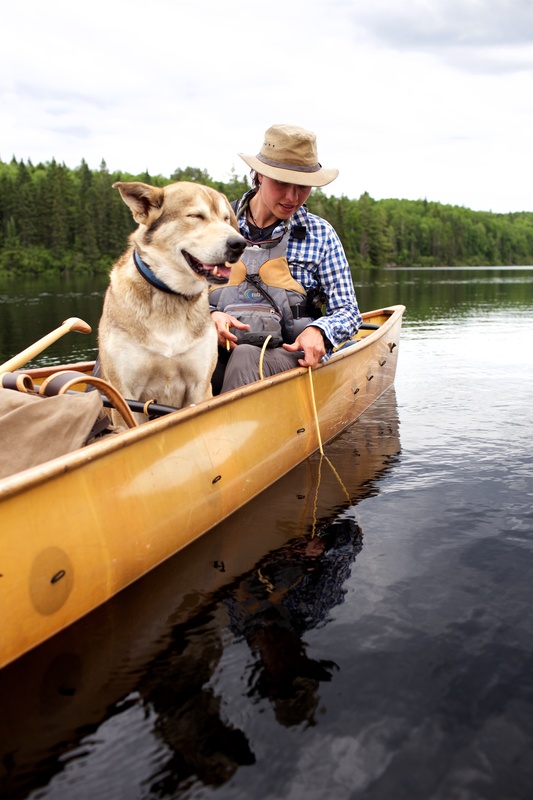 Support Joseph in his wish to protect the Boundary Waters. Submit your comment today and speak up for the critical things that need to be studied during this environmental review. Watch another passionate speech by Joseph about protecting the Boundary Waters here. Dave and I are frequently asked, “How can you stand to spend so much time with your spouse?” We did manage to spend 366 days in a row in each other’s company without killing each other. In many ways, our Year in the Wilderness was good for our relationship [Pictured: Valentine's Day during Year in Wilderness]. We are now closer than we’ve ever been and, in many ways, our relationship is better when we are out in wild places. In honor of Valentine’s Day, we’ll take a look back at the early days and how our love for each other is intertwined with our love for wilderness. First of all, we met because we were both drawn to northern Minnesota. I was in graduate school in Chicago, but managed to escape every summer to guide kayaking trips on Lake Superior out of Grand Marais, Minnesota. Dave had just acquired a piece of land, eight sled dogs and office space above a kayak shop in Grand Marais. He was running this awesome educational nonprofit called the Wilderness Classroom Organization (which he still does). At that point, he had already traveled solo across the Boundary Waters in the winter, canoed the length of the Mississippi River, paddled dugout canoes in Peru and dogsledded in northern Canada. Before I actually met him, I knew I had to meet this guy. Fate stepped in, or rather the boss—John Amren. He asked Dave to guide the occasional kayak trip that summer and so we got to know each other. Even from the beginning, we were working together—and that is how it has been ever since, as we’ve guided kayak trips, canoe trips, dogsledding trips, and then crossed South America and North America under our own power. Our first trip together was spent kayaking around Lake Superior in the fall of 2006. This came about from our time spent talking while paddling and sailing after work. Lake Superior is like an ocean—from Grand Marais, you can’t see across the lake. That horizon line where the water meets the sky was calling. Every day I paddled up and down familiar stretches of shoreline and I wanted to know what was around the next point. I wanted to get to know the lake and the best way to do that would be to kayak around the whole thing. I had zero expedition experience, my longest trip prior to that having been a week in the Boundary Waters, but Dave apparently liked me, and Lake Superior, enough to give it a try. I drew strength from his confidence and know-how. We took off from the pebbly beach in the east bay of Grand Marais on the last day of August and returned a few days before Halloween. Our friends had taken bets, determining that after the trip we would either be together for the long haul or we would immediately break up. Fast forward through biking and paddling across South America, years of guiding canoe and kayak trips—we were still together. 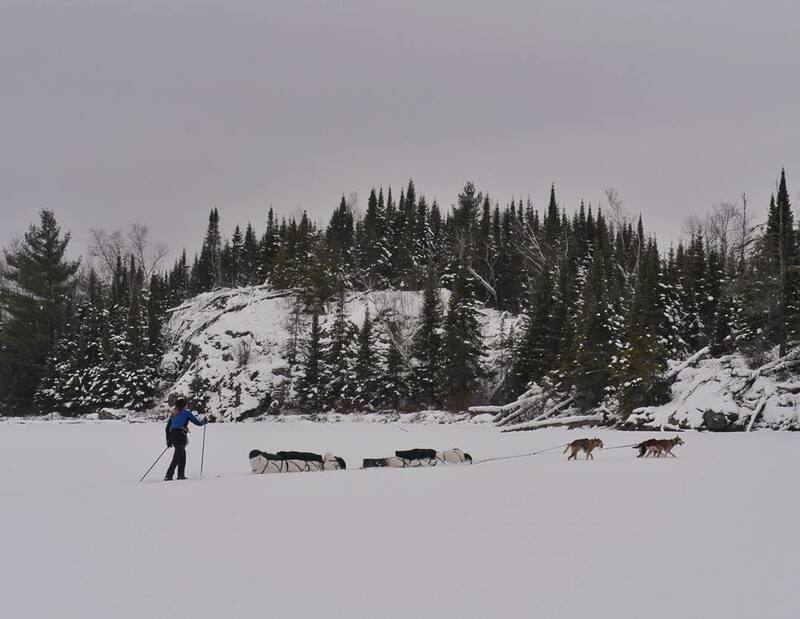 We returned to northern Minnesota to guide canoe and kayak trips in the summer and dogsledding trips in the winter. 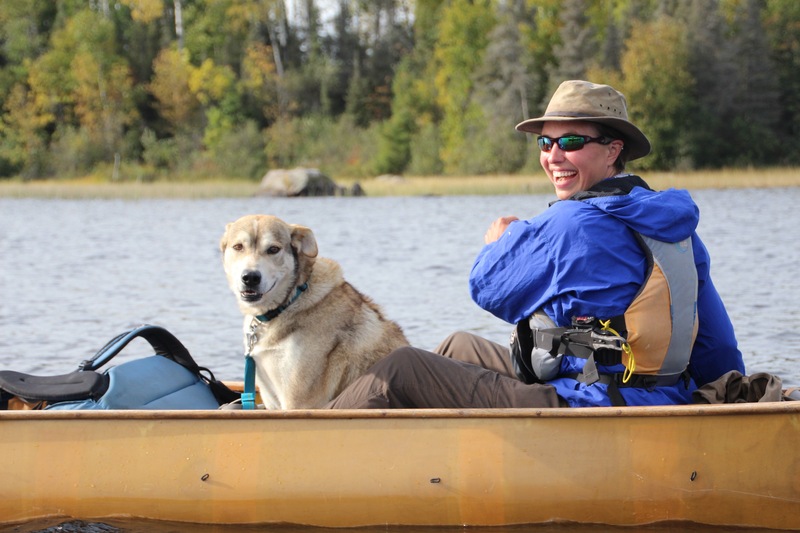 We both attribute our love of wild places to our early experiences in the Boundary Waters. And so we came to see the wilderness-edge communities of Grand Marais and Ely as our home base. 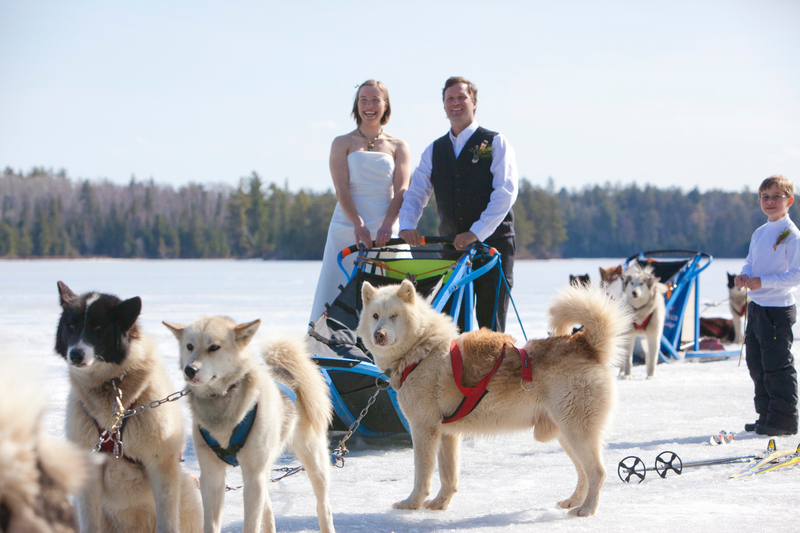 So when we finally decided to get married, we had a dogsledding wedding (The honeymoon suite? Not for this couple, Pioneer Press). Friends and family from the Twin Cities, Chicago, North Carolina, Kansas, Florida and Texas hiked, dogsledded, skied and skated out to our wedding reception on White Iron Lake (directly downstream from the proposed Twin Metals mine). It was the spring equinox of 2010 and the sun was out in full force. 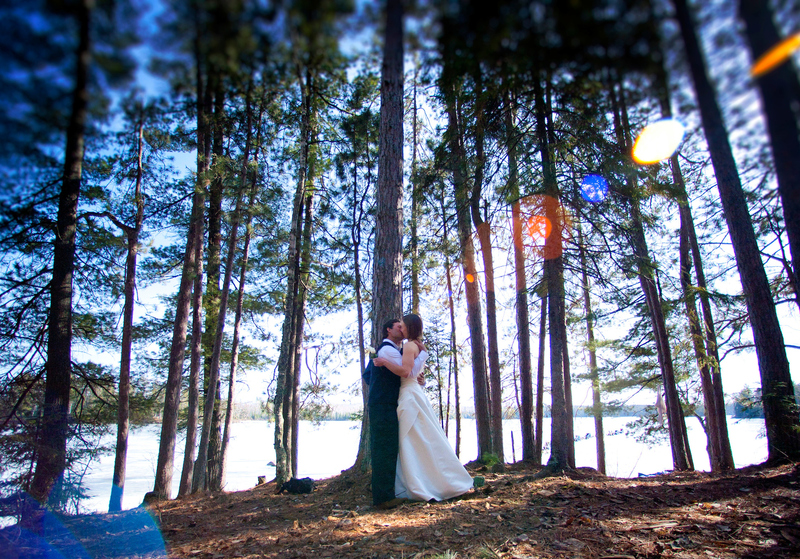 We stood under the towering red pines, the dog teams lined up out on the lake. Our dear friend and co-founder of the Wilderness Classroom, Eric Frost, married us and Paul Schurke shared the words of literary and wilderness conservation hero, Sigurd Olson. As the reception ended, all the dogs howled in unison and we hopped on a dogsled. It was a day I’ll never forget—and it wasn’t just because I married my best friend and expedition teammate. It was because we successfully introduced a hundred of our relatives and closest friends to the north woods. That was the real motivation behind our dogsledding wedding. Memories of that day warm my heart because it was filled with love—love for each other and love of the wilderness. 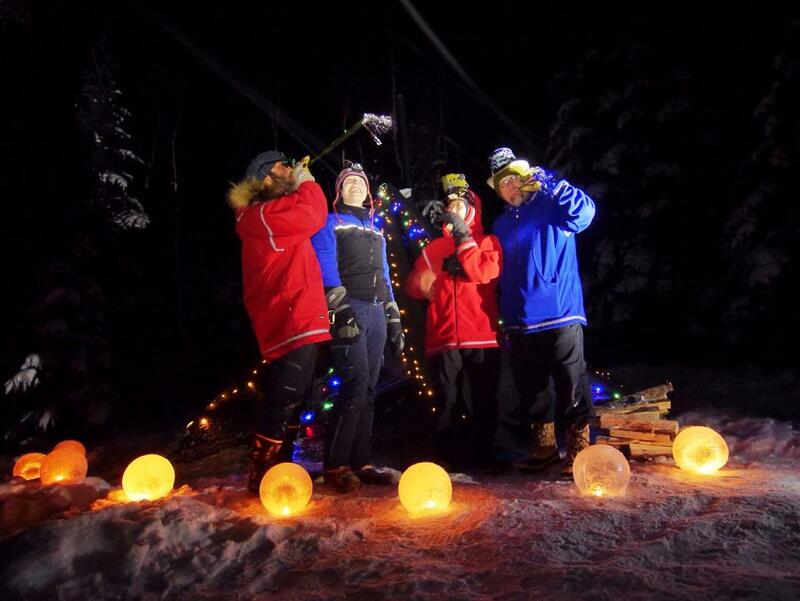 This Valentine's Day, join us in sharing love for the Boundary Waters. Submit a comment to the Forest Service supporting the evironmental review of the watershed and share far and wide your love of this wild place. During our Year in the Wilderness, we often focused on the tranquil times, the silence, sunsets and countless beautiful moments that one encounters when they are immersed in Wilderness. Wilderness has many moods: blizzards that chill you to the bone, drenching rains that fill the canoe and leave you soggy, wondering if you will ever see the sun again. Then there are bugs, blisters and giant portage packs that send you wobbling down the portage trail. These uncontrollable factors are often the fuel for our most memorable and transformational Wilderness experiences. At this moment a year ago we found ourselves engulfed in one of those challenges as we made our way from Gun Lake to Tin Can Mike Lake. Traveling into a steady headwind, constantly scrapping frozen slush from our skis and toboggans and setting up camp by headlamp. We were tired when we zipped up our sleeping bags around midnight, but it's the hard days that stay with us long after we leave the Wilderness. Overnight calm weather and near perfect travel conditions had turned into a blinding blizzard and some of the hardest traveling conditions we experienced all winter. When we woke up in the morning, I immediately noticed large, but subtle patches of discoloration spread across the lake’s snowy surface. These slightly darker patches made my stomach churn because I knew that water was seeping through cracks in the ice and forming giant pockets of slush under the fresh blanket of snow covering the lake. 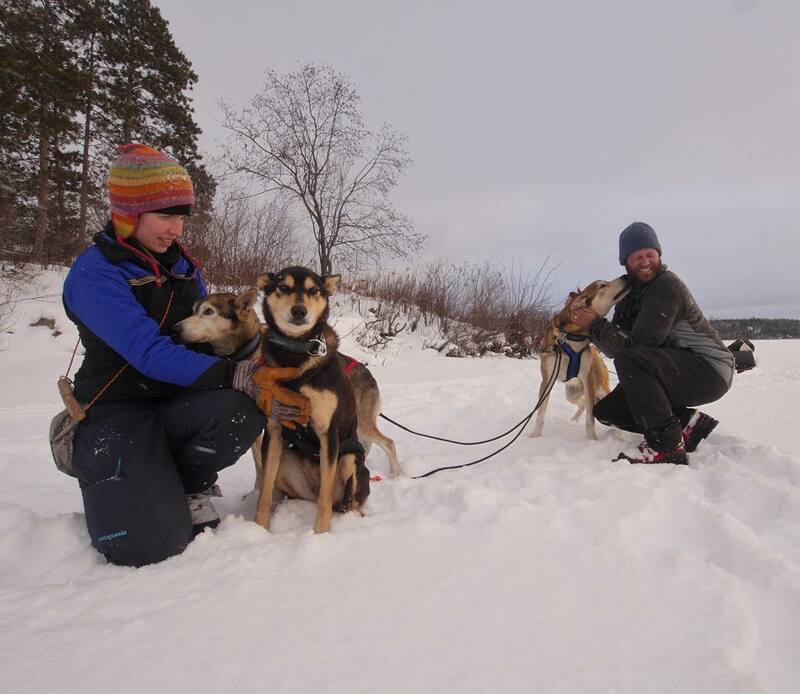 As soon as a ski, toboggan, boot, or dog paw broke through the snow, the slush would freeze to it and halt our progress as we worked with numb fingers to bang, scrape and in the case of the sled dogs’ paws, gnaw at the ice. Looking back on that hard day, and many others like it, I understand that these challenges are at the heart of why we venture into the Wilderness. It’s the raw power of nature reminding us of our place in the world and challenging us to become more resilient as we begin to understand our true potential. The challenges that Wilderness travel often afford are one of Wilderness's greatest (but often overlooked) assets, and are an important reason to protect Wilderness for future generations. I hope that the challenges that come with Wilderness travel will also give us the confidence and the resolve that we need when we encounter obstacles in our movement to permanently protect the Boundary Waters watershed from sulfide-ore copper mines. Last week, Representative Rick Nolan sent a letter to the Trump administration urging them to halt the two-year scientific review of the impacts sulfide-ore copper mining would have on the Boundary Waters watershed. This reckless action by our elected official is not only anti-Boundary Waters, but it goes against science and public input. In Nolan’s public statements since he sent that letter, he has been trying to say that he is pro-science and would never support mining that would hurt the Boundary Waters—even though he has sided with foreign mining companies for years and is trying to undermine the current scientific process and public input period that our public land management agencies already determined to be the best path forward. 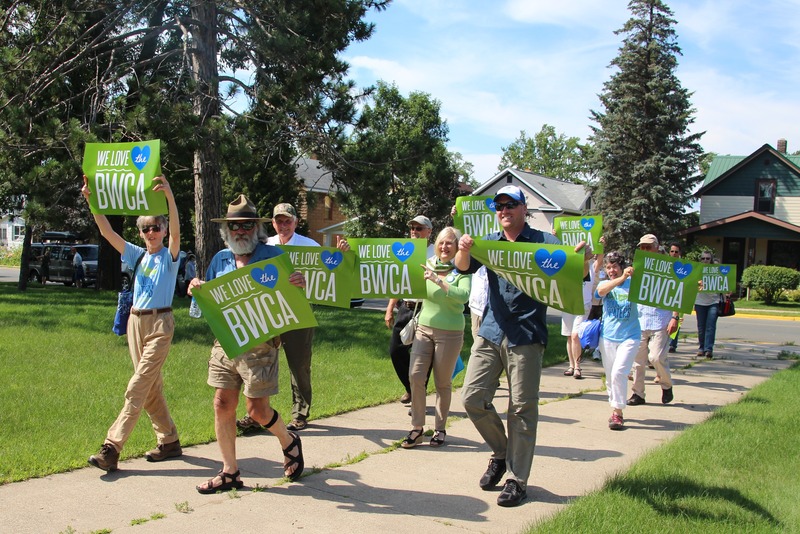 Last Thursday, we joined about 100 people outside Rick Nolan’s office in Duluth to stand up to his reckless actions and his false pro-Boundary Waters assertions. Like us, many of the folks were from Ely, and their jobs and way of life are at risk. Copper mines like Twin Metals would destroy our way of life and the resulting industrial mining zone and pollution would damage our pristine lakes and rivers—and kill our jobs. 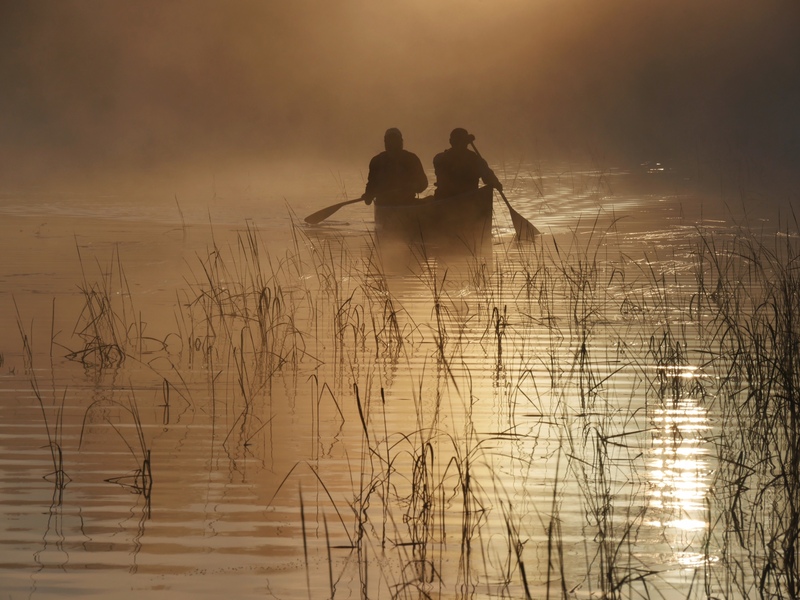 When we encounter stiff headwinds in the Wilderness, we dig in and paddle harder. When we encounter hurdles that aim to roll back the tremendous progress that has been made over the last couple of years to protect the Boundary Waters, we must dig deep and take action. Few things worth fighting for are easy and I hope you will draw strength from your Wilderness experiences and use that to actively fight for the protection of this national treasure. People have been asking us what else they can do after submitting a comment to the U.S. Forest Service. I think the best thing people can do at this moment is join our Wilderness Warriors group. It only takes a minute to sign up and each week the Campaign to Save the Boundary Waters will send you easy, impactful actions you can take from wherever you are. 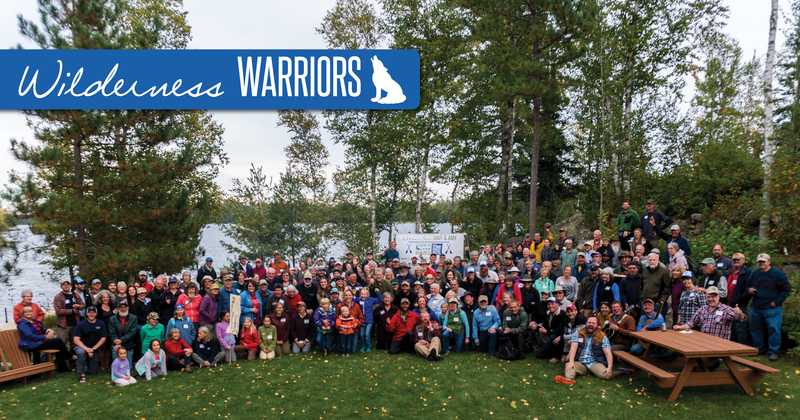 Together we’ll make sure key leaders are hearing from us and that we stand up to attacks from anti-BWCA forces trying to undo recent progress and expedite sulfide-ore copper mining on the edge of the Boundary Waters. And don't forget to comment during the environmental review if you haven't already. We are the Girl Scouts from Northern Lakes Canoe Base. 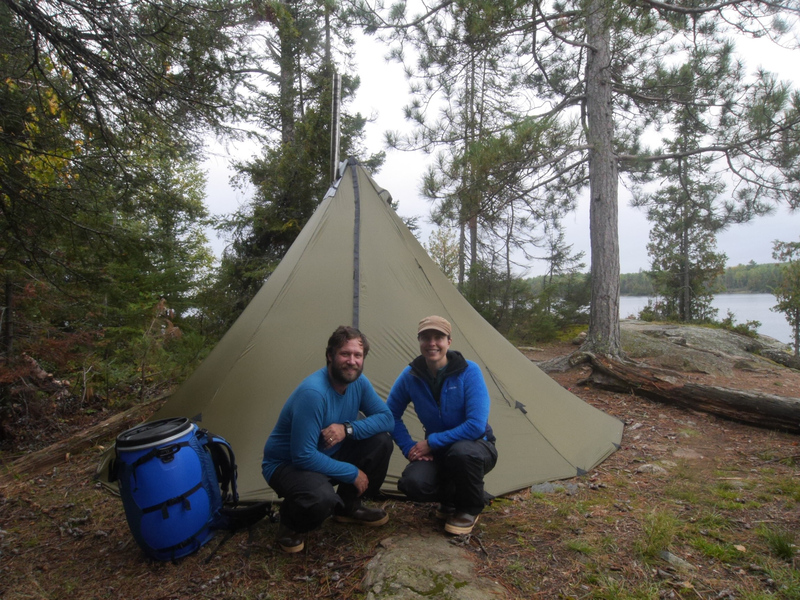 We enjoyed a five day trip to resupply Dave and Amy Freeman's Year in the Wilderness on Knife Lake. When we arrived at the Freeman's campsite, we were greeted by puppy kisses from Tank. The Freeman's then explained the purpose of their Year in the Wilderness and the threats of mining to the Boundary Waters. Some highlights of the trip were a day paddle to Thunder Point, measuring water clarity and oxygen levels, swimming and swamping the canoe for fun. After a day full of activities, Dave and Amy joined us at our campsite for pizza over the fire and cheesecake. We waved them off later that evening. The weather was perfect, the company was great and the memories will last forever. What a treat to share a meal, some laughs and Girl Scout cookies (of course) with Dave, Amy and Tank! Rebecca Gaida is from Victoria, Minnesota, and is currently attend the University of North Dakota in Grand Forks. Rebecca is studying public administration with a minor in nonprofit leadership. Rebecca has spent the past six summers paddling the Boundary Waters, and the past two summers guiding for Northern Lakes Girl Scout Canoe Base. After years of hard work and tens of thousands of petition signatures, phone calls, donations, volunteer hours, and meaningful actions by concerned citizens from across the country, we were rewarded on December 15 by the federal government’s announcement that two key expired mineral leases on the edge of the Wilderness, currently held by Twin Metals Minnesota, will not be renewed. These leases are more than 50 years old and have never undergone any environmental review. Amy and I are overjoyed by this announcement and found ourselves jumping up and down and hugging when the news reached us in Ely on Thursday. During the summer of 2013, Amy and I portaged a canoe from Gabbro Lake in the Boundary Waters Canoe Area Wilderness to a Twin Metals test-drilling site just outside of the Wilderness. That afternoon spent out exploring that area brought the weight of the potential impacts Twin Metals and sulfide-ore copper mines proposed along the southern edge of the Wilderness pose to this national treasure—on which our jobs and our way of life depend. But what could we do? With few connections and even less money, at first we felt lost and sadden by what seemed the inevitable destruction to this Wilderness that is our lifeblood. Luckily for us, a small group of local folks were developing a plan, which would grow into a movement, which continues to grow and expand today into the Campaign to Save the Boundary Waters. For more than three years people have been working tirelessly to urge the government to deny the renewal of these old leases. When Amy and I spent 101 days paddling, portaging, and sailing "Sig," our signature canoe, from Ely to Washington D.C. in 2014 during the Paddle to DC, our main goal was to urge the federal government to not renew the expire Twin Metals leases. Then in 2015 Amy and I paddled into the Boundary Waters Canoe Area Wilderness where we remained for an entire year, 366 days to be exact, to continue to call on citizen from across the country to come together and urge the government to deny the renewal of these same expired leases. More than 74,000 people joined us last summer by signing petitions during a month-long public comment period held by the U.S. Forest Service. The denial of the Twin Metals leases is due largely to the hard work and voices of this growing movement, of which Amy and I are so proud to be a part. Over the last few days I have found myself smiling for no apparent reason, and then I remember that we have reached an amazing milestone in our fight to permanently protect this very special place. Along with their decision to not renew the key Twin Metal’s leases the U.S. Department of the Interior announced it is beginning a comprehensive environmental review to determine whether National Forest lands in the watershed of the Boundary Waters are the wrong place for sulfide-ore copper mining and whether National Forest lands adjacent to the Wilderness should be removed from the federal mining program altogether. Numerous scientific studies show the dramatic risk such a mine would pose to the water-intensive, ecologically sensitive wilderness of the Boundary Waters. Nearly 8 in 10 Minnesotans support such a study and it is imperative that we all redouble our efforts in the coming weeks and months. Over the next three months the Campaign to Save the Boundary Waters and our coalition members must gather hundreds of thousands of additional comments and petition signatures. We must draw strength from this victory for the Boundary Waters and the people and communities it supports—and move forward with renewed resolve towards the over-arching goal of permanently protecting the Boundary Waters Watershed from sulfide-ore copper mining pollution. During A Year in the Wilderness we worked hard to capture the intangible values that wilderness affords, which Sigurd Olson often wrote about. Videographers Nate Ptacek and Matty Van Biene joined us several times throughout the year to help us capture the essence of this Wilderness, with the goal of sharing it with a million more people across the country and around the world through a short film produced by Duct Tape The Beer, which was funded through several environmental grants from Patagonia. Today we are delighted to share Bear Witness with you. We hope you enjoy fruits of the collective hard work of many people. Please share this film widely and use Bear Witness as a tool to raise awareness about the Boundary Waters and the threats proposed sulfide-ore copper mines bring to this national treasure. Please ask your communities to watch the film, share the film, and take action. Download the song "This Quiet Place"
"This Quiet Place" is an original song written by Jerry Vandiver, Eric Frost, Dave Freeman and Amy Freeman. They wrote this song in the Boundary Waters during the Freeman's Year in the Wilderness to help spread the word about the need to protect the Wilderness. Performed by Jerry Vandiver and Amberly Rosen. Yesterday, I pulled a container off a shelf in a cupboard in my kitchen. I filled a pot of water from a faucet and set it on an electric stove to boil. As I opened the container, a familiar smell brought me back to the Wilderness. The container was filled with wild rice that Dave and I harvested late this summer. As I breathed in the rich, grainy smell of the wild rice, memories of our time spent harvesting with four friends were as clear as if it had happened yesterday. It was mid-August when I smelled wild rice for the first time. As we paddled the Nina Moose River between Lake Agnes and Nina Moose Lake, the shallow water was covered in a swaying, shimmering carpet of green. Actually, carpet isn't quite the right word. The stalks are tall, two to three feet or so—about head height if you’re sitting in a canoe. Like a field of wheat, but green and partially submerged. The smell of the rice was rich and grain-like. When I say I smelled it for the first time, I don't mean this was my first ever encounter with the wild grain. Rather, this was the first time my nose told my brain, "Ah. That is the scent of wild rice." It took this long for my nose to become accustomed to the scents of the Wilderness. I believe throughout the course of A Year in the Wilderness my sense of smell—like all my senses—became more attuned. I smelled algae from lakes in the late summer. I can recognize the scent of a cedar forest vs. a pine forest. The scent of Labrador tea conjures up thoughts of a pleasant-smelling soap. I even remember the smell of other canoeists we encountered on portages or on the water. They often smelled of soap, sunscreen or bug spray. The scent of wild rice was satisfying and almost made my mouth water. It is the abundant, water-dependent food source of the area. It is a sacred food of the Anishinaabeg—linked to their ancestral history. 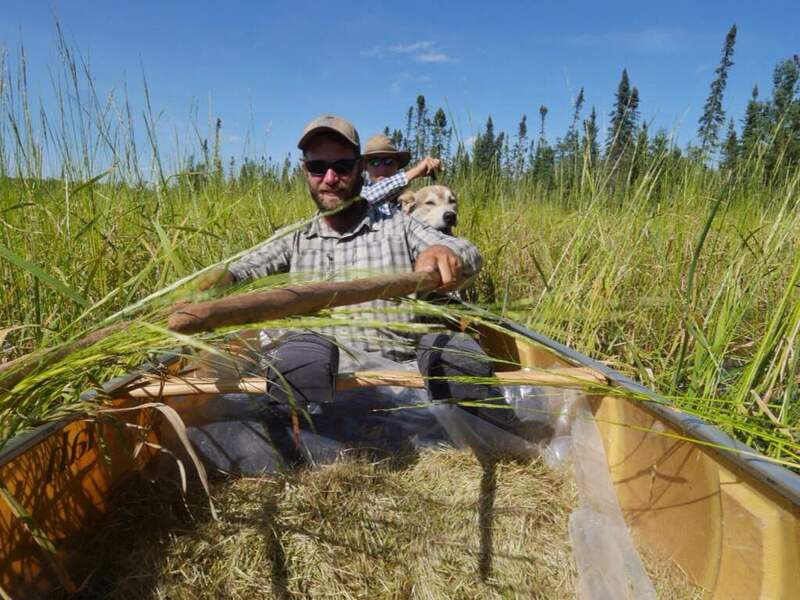 Their story of migration is tied to wild rice. I was told that long ago they traveled to northern Minnesota from the eastern United States, and settled in this region once they found a place where food grows on the water. We were honored to be joined by four friends—wild rice harvesting experts—for four days. Read about our experience in a post I wrote for Canoe & Kayak magazine. That evening I heard two massive birds land in the bay near our campsite. I dropped what I was doing to investigate. Two gleaming white trumpeter swans floated amidst the green stalks of wild rice. I sat on the ground, partially concealed by a jack pine tree to watch the graceful birds. It didn't take long to discern what they were up to. Their black bills grabbed the tops of the stalks, and their long necks curved as they gobbled up the kernels of rice. Over and over, they repeated the process with practiced bobs of their heads. Clearly, it was not just people who depend on the wild rice. Due to its sensitivity to water pollution, wild rice is the region's canary in the coalmine. The pollutant of concern is elevated levels of sulfate in the water that could result downstream of Twin Metals and other potential copper mines. Sulfate turns into sulfide in the mucky bottom of lakes and streams where wild rice grows. Sulfide is toxic to wild rice because it inhibits nutrient uptake through its roots. 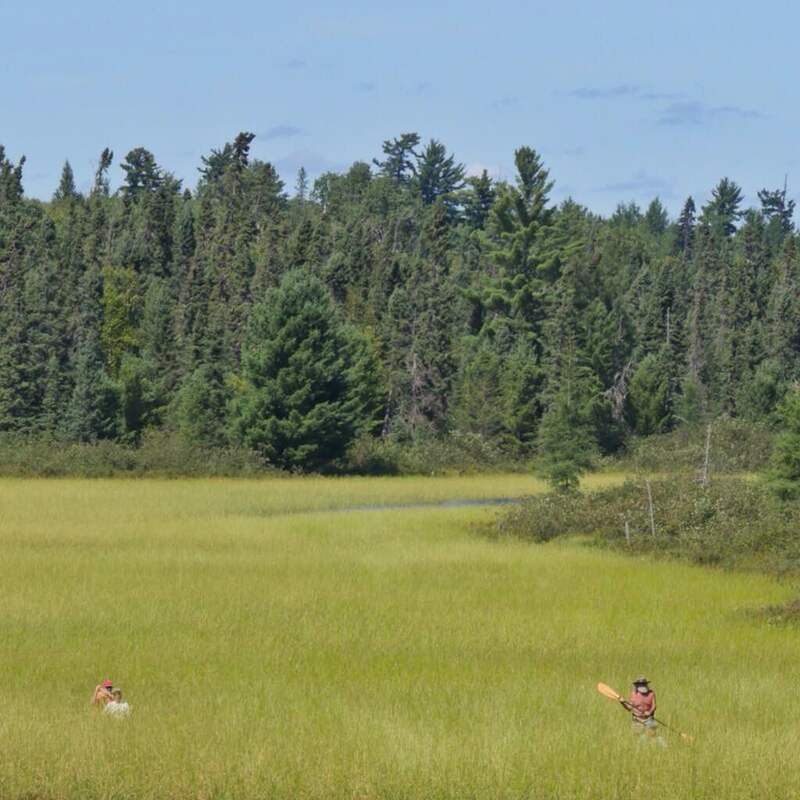 If copper mines were built south of the Boundary Waters, the wild rice would be the first plant to suffer. If we allow these mines to be built, we might as well say goodbye to the wild rice in this region. It is my firm belief that we have no right to allow an activity that produces pollution, which is scientifically proven harms wild rice, to occur within a watershed where it grows in abundance. Rather, it is our responsibility to leave it alone. Keep waters that grow wild rice clean so the Anishinaabeg and others may harvest it next fall, and the next, and the next, and so on. I'd like to give future generations the chance to float in a canoe amidst the head-high stalks and breath in the same aroma I did, to winnow it, parch it, taste it and be nourished by it. This is our responsibility to the place where land and water don't belong to one particular person or company—they belong to all of us. Want to try some wild rice for yourself? Be sure you get the real deal. The “wild rice” in a box of rice pilaf on the grocery store shelf was probably cultivated in California, where 70% of the wild rice sold in the U.S. is grown. Get hand-harvested, hand-parched, truly wild, wild rice. Check out our trusted source HERE. Enjoy this whole grain that is slightly higher in protein than most others, and is a good source of fiber, folate, magnesium, phosphorus, manganese, zinc, Vitamin B6 and niacin. 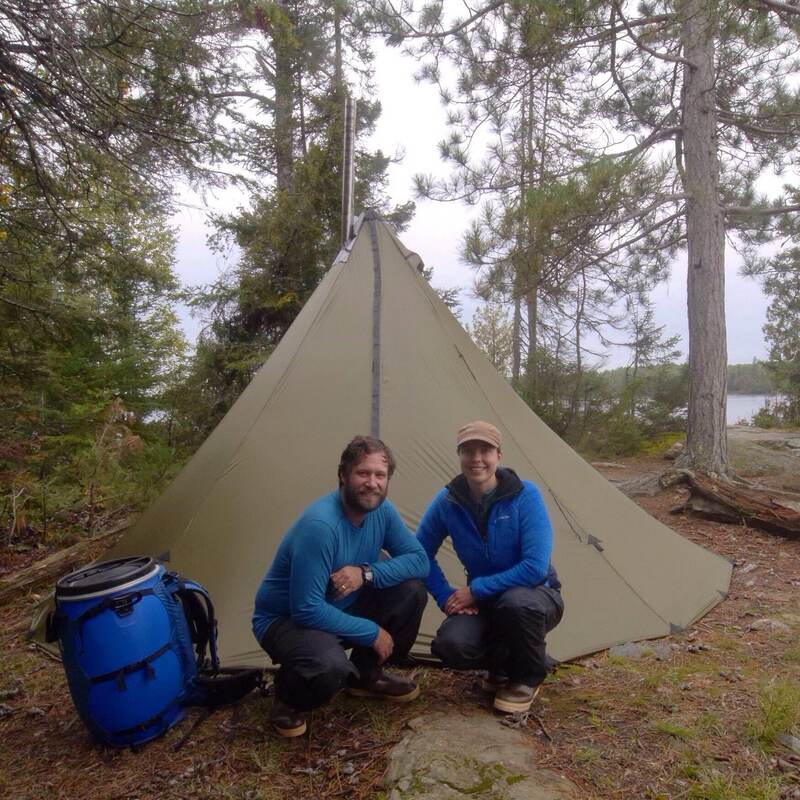 Dave and Amy Freeman, 2014 National Geographic Adventurers of the Year, are dedicated to protecting the Boundary Waters from sulfide-ore copper mining proposed on its wilderness edge. In 2014, they paddled and sailed 101 days and 2,000 miles from Ely, MN, to Washington, DC, on the Paddle to DC. From September 23, 2015 to September 23, 2016, the Freemans spent A Year in the Wilderness, camping at approximately 120 different sites, exploring 500 lakes, rivers and streams, and traveling more than 2,000 miles by canoe, foot, ski, snowshoe and dog team. They documented their year and will continue to share their stories on social media (@FreemanExplore, #WildernessYear) and in blog posts. A documentary about their journey, Bear Witness, premieres fall 2016. A book about their year will be published by Milkweed Editions in fall 2017. 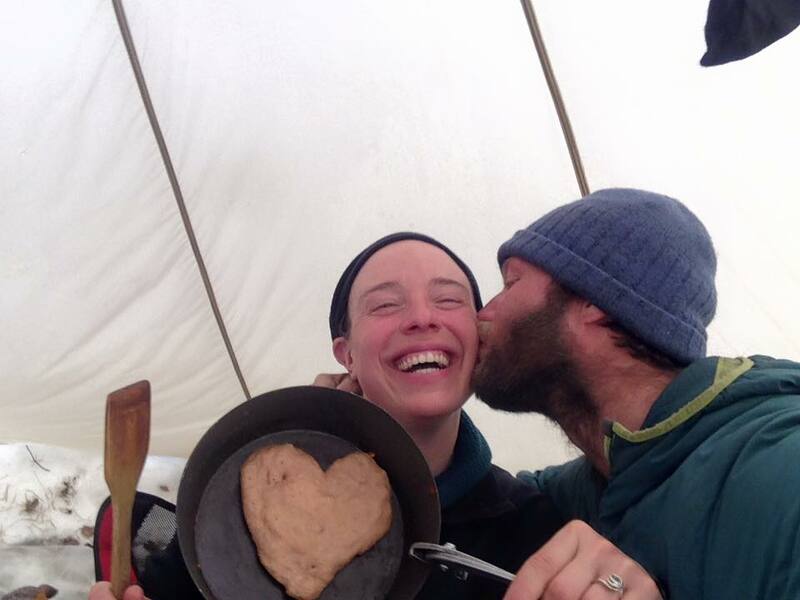 On September 23, 2016, Amy and Dave Freeman completed A Year in the Wilderness. 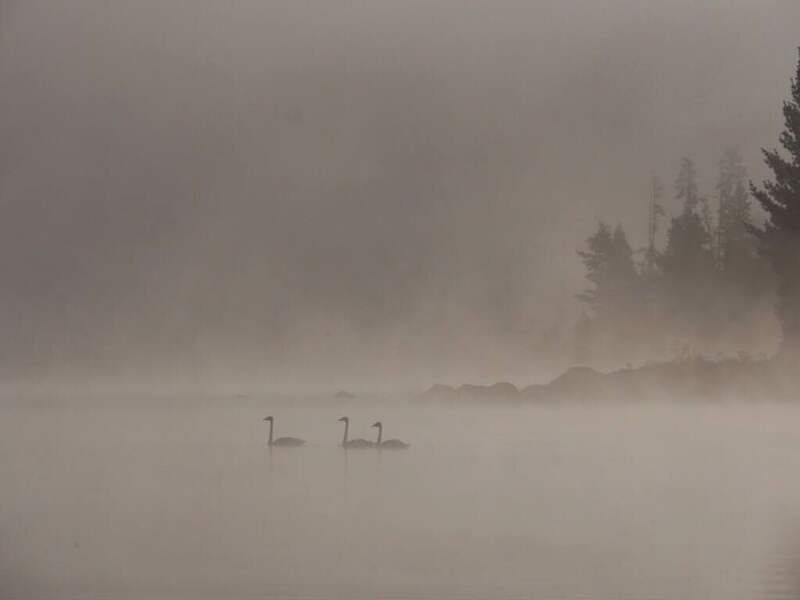 Their yearlong expedition exploring the Boundary Waters Canoe Area Wilderness helped share the beauty of this wild landscape and bring awareness to the risks it faces from sulfide-ore copper mining. 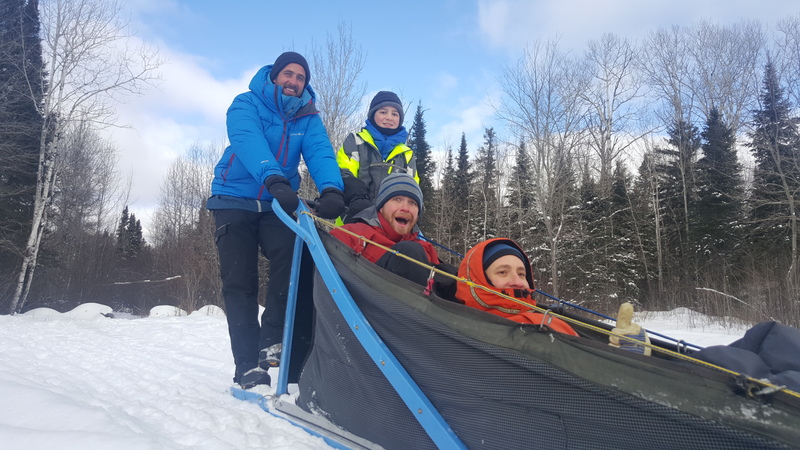 The Freemans will continue to share highlights from their year and what's next for their efforts to protect the Boundary Waters on this blog. 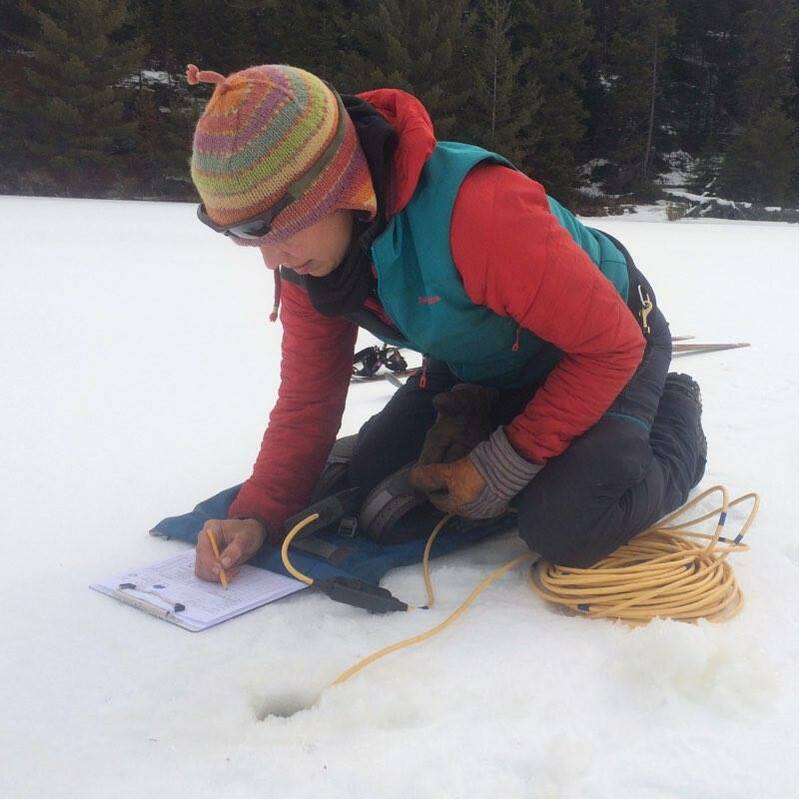 Below, Amy Freeman shares a journal entry from the last day of A Year in the Wilderness. 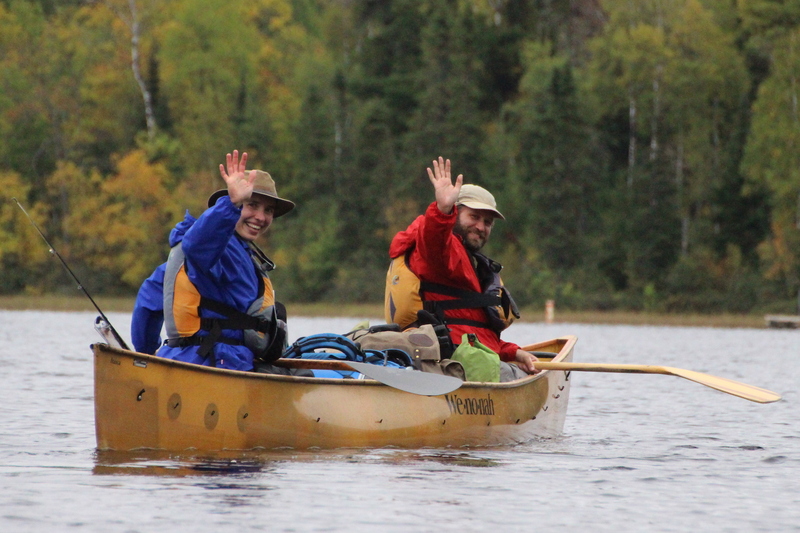 After 366 continuous days in the Boundary Waters Canoe Area Wilderness, on September 23, 2016, Dave and I paddled our canoe down the winding South Kawishiwi River back to where we started. Somewhere in the middle of a nondescript portage we crossed an imaginary line. There was no sign. There was no change in the character of the forest. The moose, gray wolves and red squirrels haven’t been told where the boundary of this federally designated Wilderness Area lies. The water also knows no boundary. The border encircling the BWCAW is an imaginary line—a line drawn on a map, sometimes straight, sometimes following a particular waterway, sometimes skirting around private property or a road. In this unfortunate instance, a bend in a river was left out when the BWCAW was formed. The water flows out of the Wilderness Area, through a chain of lakes and then back into the BWCAW at Fall Lake. I say it is unfortunate, because the water in this gap is vulnerable. Currently, the water flows past 29 wilderness-edge resorts, campgrounds and businesses, not to mention numerous cabins and homes. What if the proposed Twin Metals copper nickel mine is built? How would this water change if it flowed out of the Wilderness and past an industrial mining zone, over a tunnel designed to transport a slurry of toxic waste rock? How would the character of our nation’s most popular Wilderness Area be marred? If this mine and others like it were to be built, I bet the imaginary line would become much more apparent than it is now—even abrupt—as one exits the Wilderness and enters “civilization”. But when it comes to the water that would re-enter the Wilderness, the line would blur again—man’s influence and pollution would spill over into the Wilderness Area. Maybe it wouldn’t be obvious to the untrained eye. Any acid mine drainage would be subtle at first. The wild rice would thin out. Aquatic insects and then certain fish species would diminish. The degradation could play out slowly over a long period of time. If a spill were to happen, man’s infiltration of the Wilderness would be obvious. Can your mind’s eye even juxtapose a river turned orange tumbling into Fall Lake . . . orange water running past towering white pines, orange water no longer providing a shimmering reflection of those trees . . . orange water no longer safe to drink? Would people still come here to paddle, unplug, camp and fish? We entered the Wilderness a year ago with the intention of bearing witness to this place. It was an opportunity to simultaneously listen to the land and attempt to speak for the land through daily photos and posts. I’ll never forget when a visiting journalist asked, "What does the land say to you?" I’m not sure if she expected some concise, profound answer that applied to her, or if she thought we were delusional and she was just playing along. The thing is Dave and I realized it's not important to share specifically what the land said to us through the call of a loon echoing across a still lake, the muffled fall of snowflakes, the metamorphosis of dozens of dragonflies, the smell of wild rice, or the beauty of 365 sunrises. 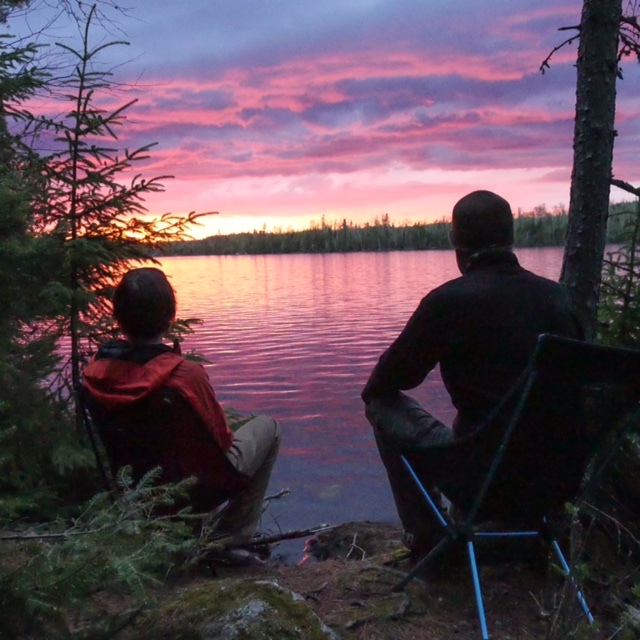 What is important is that the land speaks to anyone who takes the time to listen—and so it is imperative that we preserve the BWCAW and wild places like it so that future generations have the opportunity to hear it too. I hope that you take the time to listen—and heed the call to speak up in its defense. Dave and Amy Freeman, 2014 National Geographic Adventurers of the Year, are dedicated to protecting the Boundary Waters from sulfide-ore copper mining proposed on its wilderness edge. In 2014, they paddled and sailed 101 days and 2,000 miles from Ely, MN, to Washington, DC, on the Paddle to DC. From September 23, 2015 to September 23, 2016, the Freemans spent A Year in the Wilderness, campaing at approximately 120 different sites, exploring 500 lakes, rivers and streams, and traveling more than 2,000 miles by canoe, foot, ski, snowshoe and dog team. They documented their year and will continue to share their stories on social media (@FreemanExplore, #WildernessYear) and in blog posts. A documentary about their journey, Bear Witness, premieres fall 2016. A book about their year will be published by Milkweed Editions in fall 2017. We watch geese in formation high above Basswood Lake headed south. The smell of fall fills the portage trails. It is clear the Earth is completing its annual circle and our Year in the Wilderness is almost over. Levi, our expedition manager at Sustainable Ely, is arranging to have clean clothes ready for us to change into when we leave the Wilderness and paddle up to River Point Resort & Outfitting Company for the party celebrating the end of A Year in the Wilderness. We hope you can join us--it is sure to be a lot of fun with live music, food, beer and a flotilla of boats escorting us down Birch Lake. We are filled with emotions--sad to leave the Wilderness, happy to see friends and family, excited to find new ways to share and protect this very special place. Honestly, I think we are more nervous about exiting the Wilderness than we were about entering it nearly a year ago. The questions we find ourselves pondering as we paddle and portage are: what have we learned during the last year and how can we continue to share what we have learned? Here are some of the lessons that resonate with us the most. While Amy and I were out here alone most of the time, A Year in the Wilderness has taught us that asking for help and collaborating with others is critical to the success of almost anything. Physically we could have hauled all of our food and everything we needed into the Wilderness, been totally self-contained and forgotten about by all but our family and closest friends. Only our goal wasn't to spend 365 days in the Boundary Waters, it was to bear witness to the Wilderness and help ensure its protection. To that end, our greatest fear was being forgotten about once we entered the Wilderness. It was the help that we received in so many forms from thousands of people that allowed us to fulfill our main objective of lifting up the Boundary Waters and bringing national attention to the threats posed by Twin Metals and other sulfide-ore copper mines being proposed along the edge of the Wilderness. We quickly learned that if we needed supplies brought in to us, audio files for our weekly podcast brought out, or help in any number of ways, all we had to do was ask. Levi would find volunteers to make it happen. We need to go back look through all our notes, but we estimate approximately 300 people trekked into the Wilderness to nourish us with food, supplies, and fellowship. This simply blows us away and demonstrates what a special place this is far better an any of our words or actions could ever do. Letters, comments, songs, brownies, pictures, books, petition signatures--we have been showered with support from across the country and around the world and for that we are truly humbled and grateful. Your actions have shown us that we will protect this national treasure because together we are strong. There are few things that make us feel as alive and no place we would rather be than in the wild. There have been challenging moments and some suffering over the last year, but our time in the Wilderness has helped us see clearly that passion and purpose are what drive us, making the hard times fade in our memories. Following our hearts and living with a strong sense of purpose can be scary, it can make the highs higher and the risks greater, but we only have one life and one chance to save the Boundary Waters. A Year in the Wilderness has taught us we have to let our hearts lead us, especially into the unknown. This is not a new lesson for us; it is something tens of thousands of miles of Wilderness travel have taught us. One of the greatest gifts that Wilderness provides is simplicity. Life is simple out here. We gather water from the lake, make a meal, pack up camp, and travel on without leaving a trace, carrying everything we need with us. We hope that when we leave the Wilderness we can remember this lesson. We want to surround ourselves with more people we care about and more experiences, remove some of the noise and clutter that can easily create barriers and distractions. It won't be easy, but "easy" and "worth doing it" often don't go together. More than anything, A Year in the Wilderness has heightened our senses, caused us to slow down, live in the moment, and see how precious the Wilderness oases that remain on earth are to humanity and all life. It has become painfully clear that in an age when humans are more disconnected from nature than ever, the future of our species and the ecosystems that support us will be lost if Wilderness is lost. Wilderness is the earth's DNA unaltered, a window into the complex framework of air, water, climate, soil, and nutrients that sustain all life; it is nature at its finest. 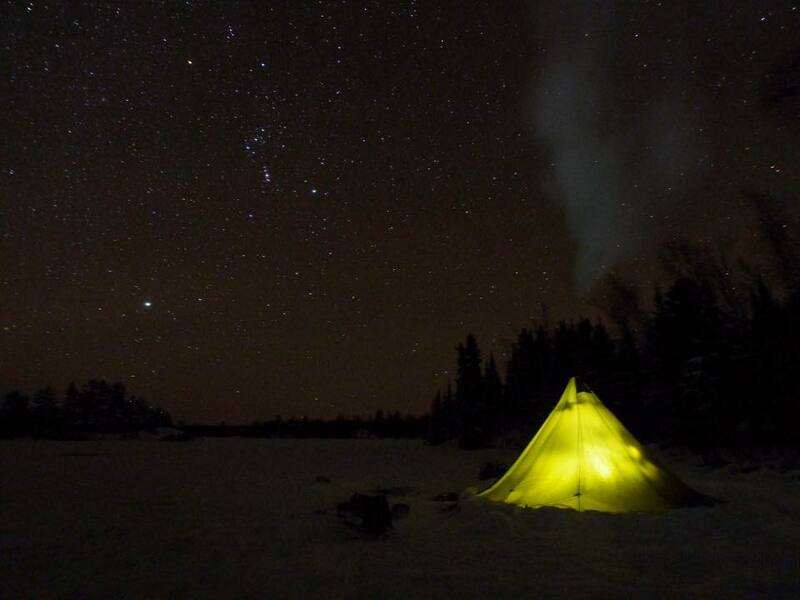 Wilderness nourishes our souls and is the North Star guiding us towards a sustainable future. We must not lose sight of its value and we must speak loudly for these quiet places.